Buying a Home in Grande Prairie? Get a fast Pre-Approval, Lock in a Low Rate and Shop with Confidence! We are Grande Prairie mortgage experts. Renewals Term at an end? Don’t just sign your banks first offer, let us help you get the best rate in Grande Prairie! Refinances Debt-Consolidations, Renovations, Money for Investments… We’ll get you the money you need at the rate you want! Welcome to Whalen Mortgages, Your Top Grande Prairie Mortgage Brokers. We beat the banks every time! Your Trusted Grande Prairie Mortgage Brokers Here To Help! When The Banks Say No We Say Yes! Let us work for you as your Trusted Grande Prairie mortgage broker, whether you’re buying a new house or refinancing your mortgage in Grande Prairie we have the perfect mortgage for you with the lowest mortgage interest rates. We will find a lender or bank who offers the best type of mortgage for your situation with the terms you want in Grande Prairie or anywhere else. Do you have poor credit? Lenders in Grande Prairie often vary on their qualifying criteria, we’ll find a lender who will approve your mortgage application at the best mortgage interest rate in Grande Prairie. Are you sick of waiting for banks to return your calls and long processes to get approved? Let me help make buying a home that much easier. We are your top trusted mortgage brokers in Grande Prairie with a team full of experienced mortgage specialists and promise to work hard for your new mortgage! Renting in Grande Prairie can be expensive. Did you know you can own a home worth $600,000 and pay $2800 a month? The best part is owning a home in 5 years you have $100,000 paid down on the mortgage and now have an investment with that equity. Don’t continue renting in Grande Prairie. Rents are rising faster than the rate of inflation. And you could afford a home of your own for what you’re paying in rent today. There’s another reason to buy a home . We can help make this dream a reality for you give me a call today, we are your 1st choice for your mortgage broker in Grande Prairie! Whalen Mortgages is your local Grande Prairie mortgage brokers, we work hard for excellence and great client service. We have options for borrowed down payment. We work hard and it shows with client service and making sure you get the best interest rate and product on your next mortgage in Grande Prairie. We want to tell you congratulations the home of your dreams is yours. We work for you not the banks, we are your trusted mortgage brokers in Grande Prairie and will work around the clock to ensure we are getting you the best mortgage product and mortgage rates in Grande Prairie with quick approvals. Stop paying rent and start paying into your own home and building your own equity and investment today. Real Estate is one of the best investments you can have, start now so you can have your own investment. Call our team at Grande Prairie Whalen Mortgages today to get started on your next investment and mortgage in Grande Prairie today and we can have you in your own home quickly 780-357-3993. We beat the banks every time not just with rates but with service. We are your Trusted Mortgage Brokers in Grande Prairie! We have the best mortgage rates. There are some lenders who advertise low rates but they come with high penalties and they do not tell you this, products that do not allow you to take port your current mortgage to your new house. Certain banks penalties on a $400,000 dollar home if you break your mortgage early can be a penalty of $20,000 compared to a $4,000 penalty at other lenders. Working with Whalen Mortgages your top mortgage broker in Grande Prairie brings numerous advantages. We explain the various types of mortgages to you, such as the fixed rate mortgages that come with costly penalties if you break it when trying to refinance it to save money. We will also explain the risks of adjustable rate mortgages and ways to reduce that risk while maximizing the advantages of an variable rate mortgage. Whalen Mortgages is also quite experienced in hybrid mortgage products that let you pay low adjustable rates for a while before transitioning to a fixed rate mortgage. Contact us to find out what all of your options are – we’ll find the right solution for you. We are your loyal Mortgage Brokers in Grande Prairie and we have a team of experienced staff to work hard for you! We believe in explaining lenders or banks products to our client to bring clarity to the mortgage. We are your trusted Grande Prairie Mortgage Brokers! After we explain all the lenders or banks rates available in Grande Prairie and products including restrictions you pick the right lender for you. There are so many factors when choosing a lender it is not the rate alone that should determine which lender you choose. I strongly believe in breaking down the perks and downfalls of the products and rates offered from each lender or bank so you can have clarity when choosing the right lender for your needs. Lets pick a lender or Bank in Grande Prairie to fit your mortgage needs. A lender you pick after understanding all of the pros and cons to the mortgage products offered. Informed decisions come with the best outcome. We are your dedicated mortgage brokers in Grande Prairie and strive for top notch client service. I RUN MY BUSINESS OFF REFERRALS AND END UP ESTABLISHING FRIENDSHIPS WITH MY CLIENTS. I WORK WITH HONESTY, TRANSPARENCY AND KINDNESS . THIS IS WHAT I BASE MY LIFE AROUND AND THIS IS THE FOUNDATION OF HOW I OPERATE MY BUSINESS. I will work hard to get your mortgage approved, thinking outside the box is what I do. In this career being a problem solver is important. I stop at nothing and exhaust all options. I will fight for your file with the lender or insurer if the decision they make I disagree with. I fight for you, my clients! My team will get your ready for all the step required on your next Grande Prairie home and give financial coaching and advice to get you where you need to be to purchase a home and as quickly as possible. I will find different solutions such as paying off the smallest loan which holds the highest monthly payment to allow you to qualify for that house you always wanted. Let me get you what you want for your new home in Grande Prairie and make sure your getting a good mortgage. Apply online or call us your best Grande Prairie Mortgage Brokers. You will feel confident working with me for your Grande Prairie Mortgage. Purchasing a home is a big investment. I will make this a simple and easy experience and confirm you are getting the best mortgage rate and terms for your next mortgage in Grande Prairie. No hidden surprises or huge penalties! Whalen Mortgages your best choice for experienced Grande Prairie Mortgage Brokers! Give us a call today to get started. We will make sure you are happy with our service and we get you approved for a home you want in Grande Prairie. Whalen Mortgages is your top experienced and best choice for Grande Prairie Mortgage Brokers and we promise to keep you informed during every step of they way. We will have you pre-approved, out house shopping with a short 20 minute phone application. Mortgages are suppose to be simple not complicated, with our team members and years of experience they hold we help make home buying in Grande Prairie easy and fun! 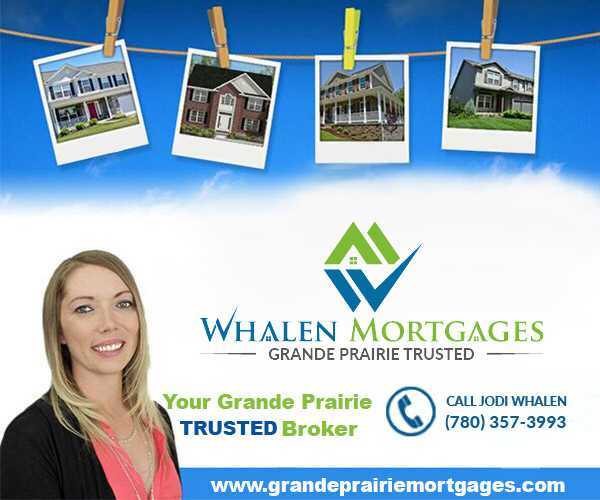 Jodi Whalen and her team at Whalen Mortgages will have you into your new Grande Prairie dream home quickly. Remember we work for you Not the Banks! We are your dedicated and highly experienced trusted Grande Prairie Mortgage Brokers! We are familiar with the Grande Prairie real estate market and have lenders also familiar with this unique market. We understand some employers have housing programs and our lenders are familiar with them. We can help you qualify for a mortgage in Grande Prairie when your employer provides a living allowance, mortgage subsidy or down payment for your new home. We can make sure we get the right documents to support the extra income for living allowance your employer provides. We help the home buying process go smoothly and we get it done quickly for you. Grande Prairie’s job market and working remotely we understand which allows us to help our clients qualify for mortgages in Grande Prairie or surrounding area’s. You don’t want any communication gaps or the lender not using your bonuses, shift differentials, built-in overtime or driving allowances in qualifying. We know how to guide you through the underwriting process to ensure that you get approved for the home you want in Grande Prairie at the best possible mortgage interest rate in Grande Prairie. Whalen Mortgages Grande Prairie can do mortgages in Grande Prairie or surrounding area and rural properties also. I understand the differences in these acreages such as septic or holding tank and what requirements are needed for the mortgage approval. I can do Mortgages anywhere in Canada in every province and often get clients mortgages outside of Grande Prairie as they continue to work in Grande Prairie and commute. I understand all the different employment incentives from the employers in Grande Prairie and know the lenders that support these programs. Many employers give mortgage subsidy, living out allowance or down payments for their employees to stay as a resident in Grande Prairie. I am very familiar with these programs and what the lender requires to get the mortgage approved. I am aware of different types of income such as bonuses, shift differentials, driving allowance and built-in overtime that come with certain employers in the oilfield. I have lenders that support these programs and have underwriters that have seen Grande Prairie deals so much that they understand and support all the different types of income earned in this market. Let us get you the highest pre-approval for your new Grande Prairie Mortgage. We beat the banks every time, not just on rate but on service. There are no longer 0% down mortgages however there are other products such as the ability to use your own line of credit for the down payment but restrictions apply. There are also options for cash back mortgages with higher interest rates however you need to come up with the down payment to qualify. You can also have an immediate family member gift you the down payment. Whalen Mortgages your trusted Grande Prairie Mortgage Brokers can also look at refinancing your current home so that you have a down payment for the new property. We can also explain how you receive financial gifts from family members to assist with the down payment or get a qualified home buyers loan so that you can get the best mortgage rate on your Grande Prairie Mortgage. If you are a first time home buyer, you can access your RRSP for a down payment – and it isn’t taxed. Just reach out to your RRSP investor for information on how to do this. If you’ve been renting for a few years after selling your last home, you may be able to take advantage of this benefit again. If you already tapped your RRSP for a down payment and then sold it, paying back the RRSP, and then don’t own a home for at least three years, you can tap into the funds again as a down payment. How much down payment will I need, if this is not my first home? As long as it is your primary residence meaning you occupy the home or an immediate family member does you only need 5% down payment regardless if it is not your first home purchase. The requirement is it needs to be your primary home to qualify with as little as 5% down payment. You can use your RRSP first time home buyer funds not taxed if you have not owned a home in the last 4 years. What options do I have if I own a house and want to turn it into a rental? You can make your existing home a rental and we can wash away the mortgage debt with rental income allowing you to purchase a new home with as little as 5% down payment. There are rental offset options every lender has different policies on how they do there rental offsets but we can help direct you to the best product and lender for your needs. We can look at refinancing your current home if you need down payment for your new home. We can help you refinance your mortgage whether you’re in an adjustable rate mortgage and want to lock in today’s historically low interest rates in a fixed rate mortgage. We can also help you if your mortgage is coming up for renewal, if you want a cash out refinance to raise money for home repairs or anything else you’d like to do. What should I know if I want to buy a rental? Buying a rental requires a minimum of 20% for the down payment. The Government requires mortgage insurance if you put less than 20% down and they no longer allow rental properties to be insured, and they only work with those buying a primary residence or second home. Call your loyal and dedicated mortgage brokers in Grande Prairie today at Grande Prairie Whalen Mortgages. You can buy a vacation home with 10% down. You could buy a home for a family member to live in with as little as 5% down as long as they are living in it as a primary residence. Your loyal trusted Grande Prairie Mortgage Brokers at Whalen Mortgages work for you not the bank and use multiple lenders who all compete on mortgage rates to ensure we get the lowest interest rate for your Mortgage. I believe in clarity and transparency and clear communication to make sure you are never stuck in a bad mortgage products. Getting a home is one of the biggest investments you will make I thrive in helping you get the best mortgage product available. Mortgage lenders across the Country have many different specialized mortgage products, I will make sure to find the right mortgage for your needs. I can work on your mortgage anywhere in Canada. As a Grande Prairie Mortgage Broker I understand how those products apply in our unique market where overtime, bonuses, housing allowance and shift differential income are common. As a Mortgage Specialist in Grande Prairie, I understand each mortgage is unique and will keep on top of all the changes to ensure I find a mortgage that fits your needs. No waiting for appointments or approvals. We work around the clock for our clients. My clients are my top priority. Remember I work for you, not the Banks! I want to tell you congratulations the house of your dreams is yours, this is why I love my job. I look forward to speaking with you about your existing or future mortgage needs. Apply now for your new mortgage in Grande Prairie. Are you looking for a Mortgage in another city? We have a team of Mortgage Brokers in Fort McMurray. Click here to see your options. We thought buying a house wasn’t going be an option for a few more years, however with the knowledge and helpful direction by Jodi we were in our own home within 90 days. Excellent service and a delightful person to work with. We highly recommend her. Working with Jodi has been a great experience. My wife and I have used Jodi’s services to obtain two mortgages and both times Jodi was knowledgeable, organized, and quick to resolve any issues that popped up. 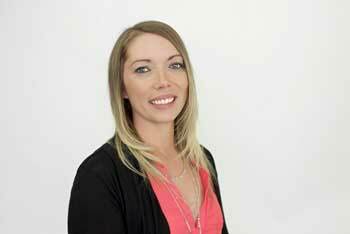 I would recommend that anyone looking for a hassle free mortgage approval contact Jodi. The most helpful women I have ever met! She helped me and my fiance buy our first home together! After trying another broker and a bank broker they wanted me to sign a contract which scared me to going back to the bank then I talked to Jodi who reassured me that there would be no obligation to stick with her if I was unhappy. I ended up going with Jodi, getting the best rate and product out there! After all the struggle and stress Jodi made it feel like a breeze! Spending much time going over things I didn’t understand, making me feel very comfortable working with her knowing she was out to help me, not just make a sale. If you’re reading this review you’re making a good choice by picking this caring mortgage broker! As a realtor I have worked with a lot of different mortgage professionals and Jodi by far exceeds my expectations with any real estate transaction. Her approval time is the fastest I have ever seen and her communication skills are exceptional. You will always know what is going on with your mortgage approval. When clients struggle to get a mortgage she gets the deal done. I would recommend Jodi in full confidence to anyone looking to get a mortgage.